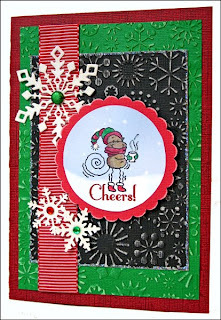 Here's a quickie card using Becky Fleck's latest fun sketch. Many thanks to my loyal blog followers for all the supportive comments you have left for me this year. Here's to twelve new months full of creative possibility! HAPPY NEW YEAR! I got a chance to knock out this layout before 2008 winds to a close. I had some fun photos from the Renaissance Faire held at Conner Prairie back in October. Mind you, I still have a ton of photos from this event in 2007 that I want to put into a mini album...but that's a story for a whole different blog post! This layout uses an awesome sketch by Becky Fleck of PageMaps fame. She just plain rocks. Details for this layout are here. It's not too often that I get to scrap photos so quickly. 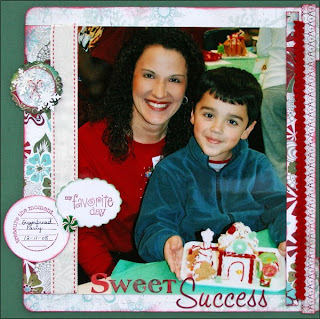 I really loved how this photo from Ian's gingerbread party turned out, so I ended up getting it onto a layout pretty fast. Thanks to my friend Jen for taking such a great pic for us! 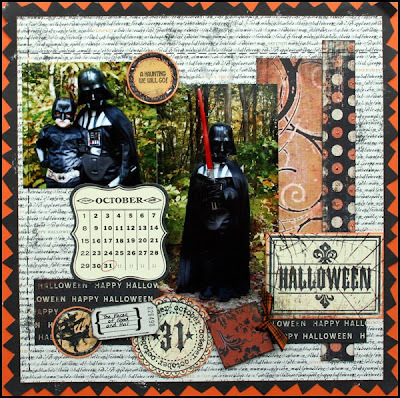 I used some stash stuff on this layout and some new stamps from Hero Arts. Details for this layout are here. Click the photo for a closer look. In November I flew home to Pennsylvania with my son Matthew to help my mother recover from open heart surgery. While we were there I was able to share some childhood memories with Matthew - like walking down the wooded lane to the house. He sat in the tree where I escaped to read books as a child, and he jumped in piles of leaves from the very same tree. For me this trip was as much about connecting with him as it was about helping my mother. I am grateful for the family time we shared. 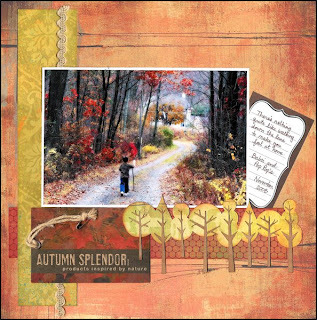 I made this layout using the November sketch by Di Hickman which was also her 1000th blog post. Isn't that wild? Congrats on all your hard work, Di - you are an inspiration to so many! Happy birthday wishes, too! 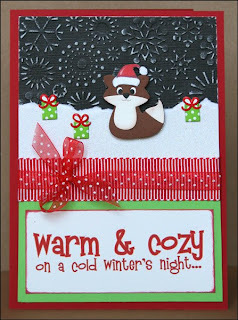 The coolest thing on this layout for me (besides the fun photo ♥ ) is the tree border cut with my new QuicKutz Silhouette. Click the photo for a closer look. Details for this layout are here. Here's a little reminder about the store closing sale at SBO. Everything must go and the savings are big. 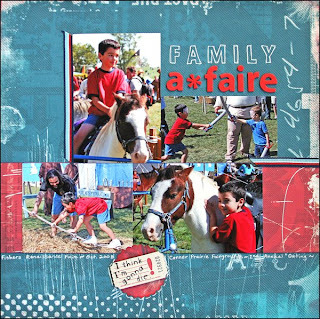 Check out all the great products available at the Scrapbooker Online Store! WILL BE SHIPPED NO LATER THEN DECEMBER 20TH. ALL ORDERS WILL RECEIVE A FREE GIFT! Scrap in the New Year! If you are any or all of these: an avid scrapper, love to share your unique creations, love to chat on the message board and encourage others with praise, then Scrap in the New Year is just the contest for you! Not only will you be playing as an individual, you are playing towards bragging rights for your favorite site! Regardless of whether you are on the winning site, 5 players will win prizes! Contest starts January 1, 2009 but contest activities are taking place right now! Please join us for a good time and get ready to scrap away the month of January! 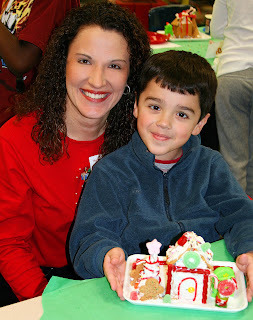 Ian's second grade class made gingerbread houses today, so I was lucky enough to go along and help. It's so fun to hear the ideas of these kids - why they choose certain types of candy and how they turn them into architectural and landscaping details. 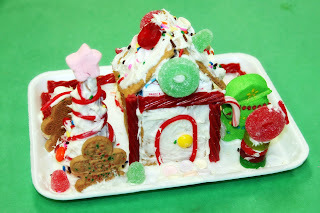 We attended Conner Prairie's gingerbread event last weeked looking for ideas, so today was especially fun. Apparently I am going through a warm and fuzzy stage. (Someone please sedate me!) Perhaps it's temperatures that are sitting in the 20's that have me making projects covered with sparkly snow and furry critters. In any case, I really ♥love♥ them! 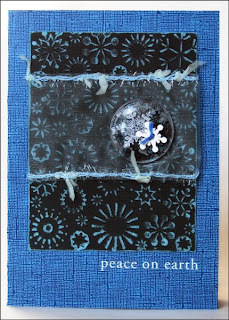 Here's a card made with awesome Core'dinations Black Magic cardstock and a Cuttlebug embossing folder. The darling little fox is a QuicKutz die. 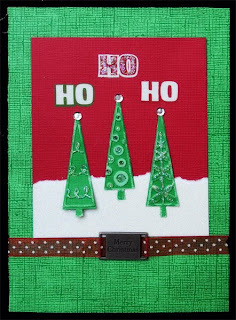 Don't forget to check out Caardvarks for our current cardstock-only challenge! You've probably seen advertisements for Core'dinations Cardstock...it's fantastic, heavy-weight, specialty cardstock. The Core'dinations Group sent gobs of it to the Caardvarks Crew to play with, and we couldn't stop ourselves! Who needs patterned paper when working with a color-core cardstock? We didn't. 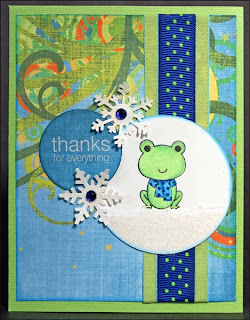 You can sand Core'dinations Cardstock, tear it and antique it to reveal a hidden core color. 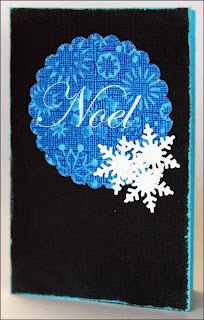 Try it with your favorite embossing tool...you'll be amazed at the result. Visit Core'dinations for ideas and how-to videos. 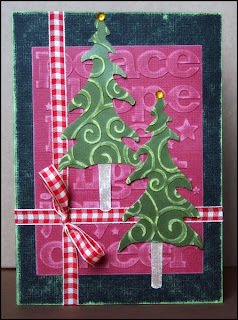 Challenge: Create a *new* card using no patterned paper! Upload your entry to our Flickr Gallery for a chance to win a generous prize package from Core'dinations. Be sure to 'tag' your entry with "core". This prize package is a prize that you can sand, tear and antique to make your crafting projects truly unique! The winner will receive $55 worth of Core'dinations ColorCore Cardstock! Prize includes an assorted Black Magic pack and an assorted Vintage Collection pack. Also included will be 4 different Super Assortment 4.5"x6.5" packs that have 2 sheets each of 160 colors. We couldn't fit all of our Core'dinations creations into one post - the Caardvarks Crew put together an entire gallery full of Core'dinations Cardstock-only items...check it out here. We can't wait to see your stuff, so be sure to join our Flickr Group and post your entry! Join us at (Some) Assembly Required this month for a new challenge. Many times the holidays mean an extended family meal. This challenge is all about helping your table shine a little brighter! 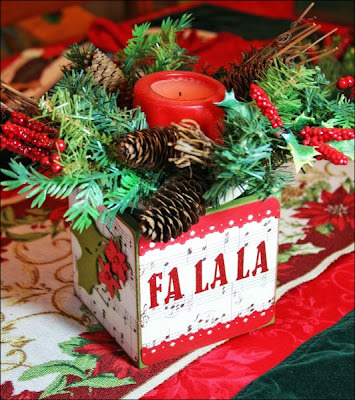 We challenge you to alter something, candle holders, napkins, table runners, place mats and place holders come to mind, to add to your holiday table. When you are done, take a photo of your beautiful creation and link it to us in the comments section of this SAR post by midnight on Dec. 31st. We will add it to our Holiday Table gallery. If it is easier for you, please email us a photo. On January 1st we will choose a winner who will receive a lovely RAK of holiday crafting goodies! My little box is open inside - perfect for a flower arrangement, silverware bundles, breadsticks, candy canes...basically anything that will fit inside. I used paper and flowers from Making Memories and a Martha Stewart snowflake border punch. Click here for the details. Can't wait to see what you make!